The Museum Church, Dillon´s house and the Granary for private events. The church in the Árbær Open Air Museum is of a type common throughout the country in the 19th century. 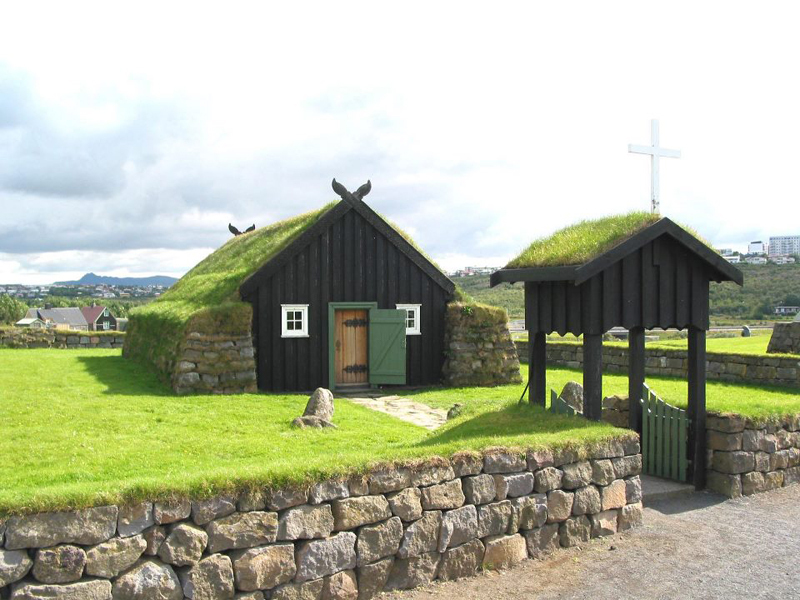 It originated on the farm Silfrastaðir in Skagafjörður, where turf-built church was erected in 1842. In 1896 it was dismantled and a new church erected in its place. Timber from the old church was used to build an addition to the farmhouse, a living room/bedroom used until 1950. 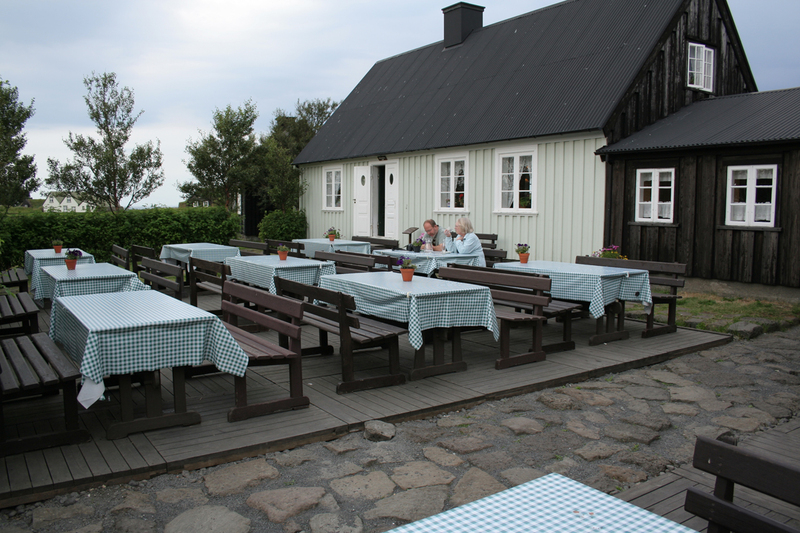 The addition was dismantled in 1959 and the timber moved to the Árbær Open Air Museum. The pulpit is from the old church at Silfrastaðir. Consecrated in 1960, the museum church is popular for christenings and weddings and regular services are held there in summer and during Advent. The museum church can be hired for ceremonies. Dillon´s house was built in 1835, on the corner of Túngata and Suðurgata. The house derives its name from the man who had it built, Arthur E.D. Dillon. 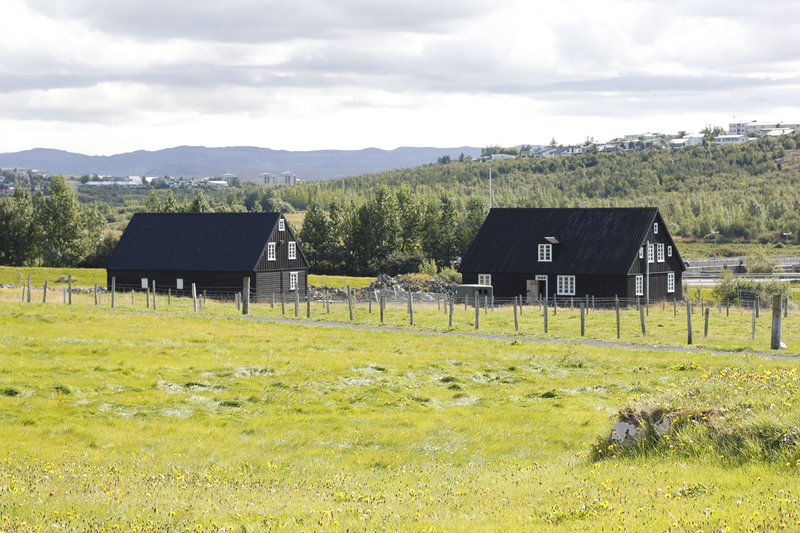 Dillon´s house was moved to the Árbær Open Air Museum in 1960. It houses the museum coffee-shop during the museum opening hours and is also used for small social gatherings. 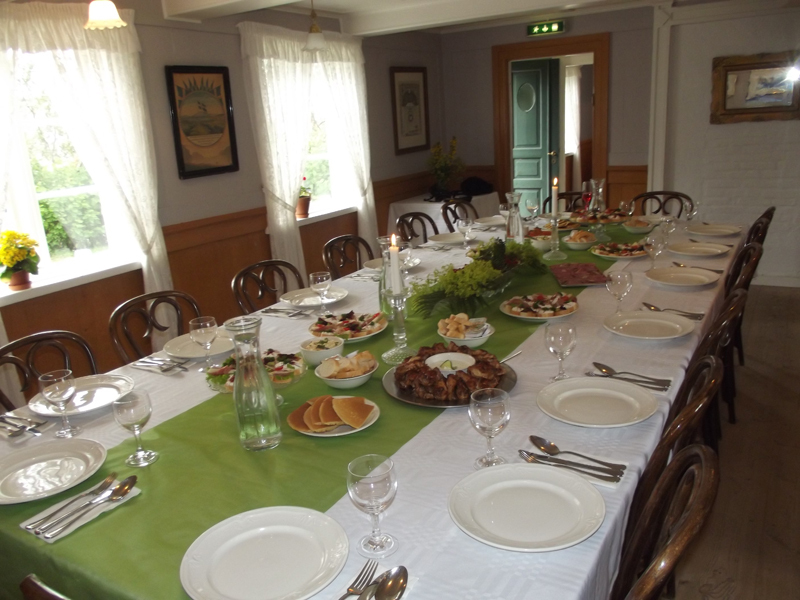 Dillon´s house can accommodate up to 50 people for meetings and private events. Dillon´s house is available for hire with catering. Hire for one day is 50,000 ISK and the price for a half a day is 30,000 ISK. The Granary was built around 1820 and belonged to the trading company Örum and Wulff of Vopnafjörður in eastern Iceland. The name of the house refers to the use the building was put to. The Granary was moved to Reykjavík in 1975. The Granary is available for hire for meetings and conferences. The Granary can accommodate up to 70-90 people for meetings and private events. Hire for one day is 50,000 ISK and the price for a half a day is 30,000 ISK.